Lilabelle Lane: A Little Bit French and the weekend. A Little Bit French and the weekend. My Little Bit of French Parcel has arrived. I have just got home and found a parcel awaiting me. To say I was a little excited would be an understatement. Thank you so much Peg. I love all my items and the Laundry Bag is coming away with me this weekend. ooolala, what a lovely parcel! Hope you enjoy your weekend, have a wonderful time! Have a great weekend. Peg is a star, great swap gift. An wonderful week end is coming !!!! You get lovely gifts from Peg !! It was a nice swap, isn't it ? !! You've been Peg-ed! What a yummy parcel of goodies from Peg, isn't even her business card cute?! Sharon what a dream weekend ahead of you, have a great time and enjoy it all! Pegs done another wonderful job...your a lucky girl!! And enjoy, enjoy, ENJOY your weekend!!!! Sharon thank you so much for your lovely words...so pleased you liked my goodies...have a wonderful time way, keep safe..
Have a lovely weekend,I look forward to plenty of great pictures next week.Have fun. Lovely swap gifts from Peg. Enjoy your weekend of stitching. Have a lovely time stitching. Sounds like you have a fantastic weekend planned. Look forward to hearing & seeing all about it! Beautiful gifts for you. 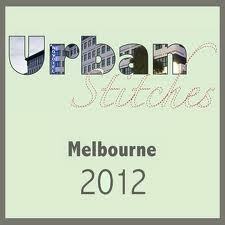 I hope you have a wonderful time at the urban stitches.